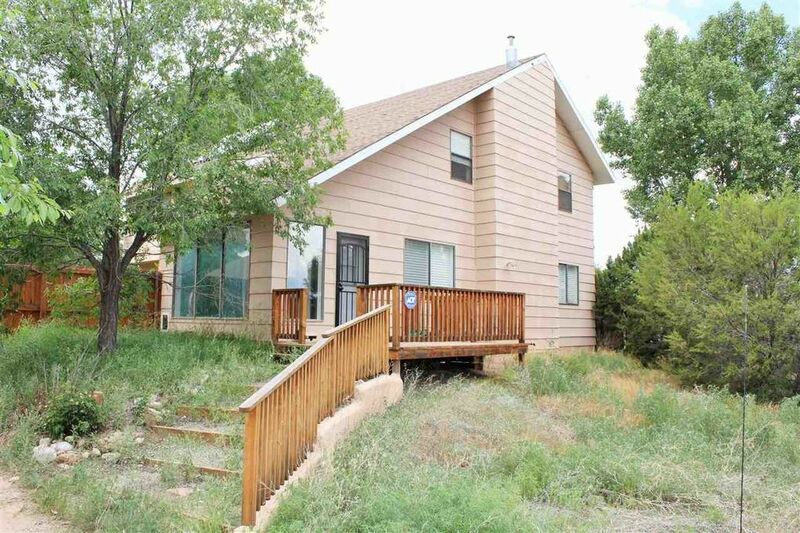 Conveniently located between Santa Fe and Los Alamos, this wonderful home is ideal for those looking for a country setting. This two-story home has two spacious living rooms, dining and breakfast nook along with a bonus room perfect for an office, game room or studio. Bedrooms are located on the second floor with the master suite having a ¾ bath, separate vanity area and large walk-in closet. There’s room to park your RV, toys and even build a barn for your animals if you like! A home inspection is available. It’s great home! Schedule a showing today. Directions: 285/84 to Pojoaque. West on Viarrial St. Left at the Fire Department Pojoaque District. Half mile to Bronze Sky/89A. Left on Feather Rd. Tall, tan house on the right. 49 Feather Rd.